More and more schools are turning to student-centered learning that incorporates some type of making, designing, creating, or tinkering. Both in-school and out-of-school activities have found great success using this type of approach. Here in Pittsburgh the YMCA as well as programs like the Energy Innovation Center Design Challenges provide opportunities for young people to solve real-world problems using innovative strategies under the guise of experts. At the Energy Innovation Center (EIC) high school students from Parkway West Career and Technology (PWCTC) schools have been working on solving real world problems as consultants. The consulting teams present their work to a panel of experts – professionals who work in areas related to the Design Challenge. 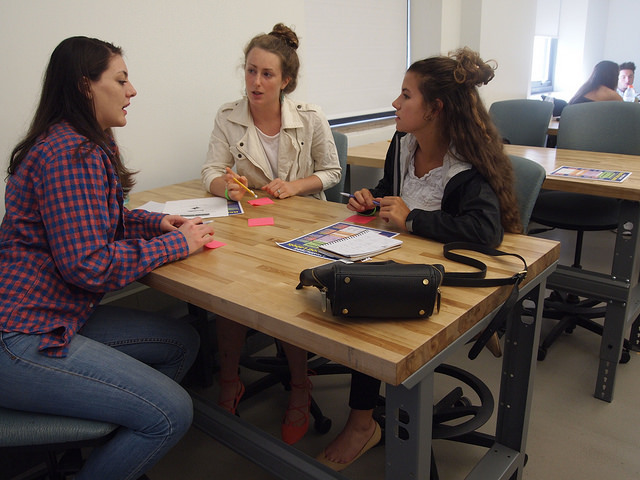 For the 2016-2107 school year the first round of Design Challenges focus on issues of Sustainability. Students from the Montour and Quaker Valley School Districts are tacking the problems of designing a sustainable food distribution system. As part of the challenge the students are looking at three related issues: growth of food; marketing/sales of food; and the distribution/transportation of food. The Driving Question becomes: How can schools contribute to a sustainable food distribution system. In Phase 1 of the problem the students will look at how each of the twelve schools in the PWCTC consortium can grow, market/sell, and distribute the necessary foods for the PWCTC Culinary Arts program’s restaurant. For Phase 2 the students will look at a more regional opportunity to market/sell and distribute food to the Community Kitchen, a non-profit agency located in the EIC, that provides meals to schools, non-profits, and businesses in the Pittsburgh region. A second team of students will tackle another issue of sustainability: designing and developing an educational sustainable community on the campus of PWCTC. The Career and Technology Center has close to sixty acres of undeveloped land. The student consulting team from the Chartiers Valley School District, South Fayette School District, and PWCTC will probe into the necessary zoning, building, infrastructure, and design to sustain a community of learners. The students will develop a Master Plan for the project given the name “Green Acres” by Darby Copeland, the superintendent for PWCTC. Key to both the YMCA and the EIC programs are a focus on solving real-world problems using professional experts to help guide and evaluate student work. The students through their innovative work demonstrate essential skills, such as collaboration, persistence, and risk-taking. Susan Metros vividly remembers the blank slate that would become the “Garage,” a new learning space for the University of Southern California‘s Iovine and Young Academy for Arts, Technology and the Business of Innovation. In 2013, entrepreneurs Jimmy Iovine and Dr. Dre (aka Andre Young) had given $70 million to create a unique undergraduate program that promotes new kinds of learning through cross-disciplinary and hands-on discovery, in a fully immersive and collaborative learning space. The space for the new program, on the fourth floor of the Ronald Tutor Campus Center, was completely undeveloped. “I remember going to a meeting and there was no electricity,” said Metros, associate dean of the academy. “We really got to start from scratch.” The space was an open canvas for innovation, yet the timeline was aggressive — with only three months for design and five months for construction. 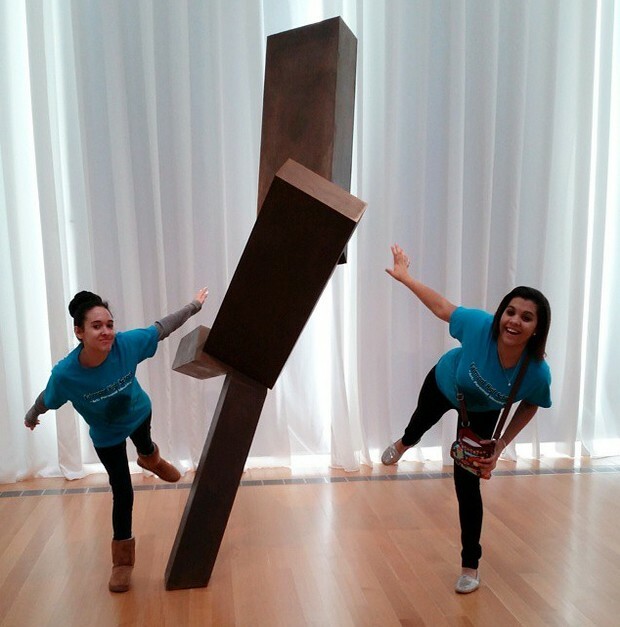 Last spring, crowds of teenagers were let loose in Raleigh’s North Carolina Museum of Art. No tour guides, no shushing teachers, just kids following their curiosity through the galleries. As they roamed, they used smartphones and tablets to upload images of the artworks into personalized, virtual exhibits they would later display to their fellow students. It was a field trip with a tech-y twist: For weeks leading up to the museum visit, these same kids had explored these same works of art on a social-media website, where they also posted sketches, ideas and peer critiques in preparation for their own art projects. Hoping to spark creativity and give students a real taste of the artistic process, art teachers from 16 high schools across the state had signed up their students for this pilot project, which museum staffers dubbed a “flipped field trip.” Called “Artists in Process,” it was loosely based on the model of the “flipped classroom,” in which teachers assign online reading, YouTube lectures and other digital resources as homework to cover facts, figures, dates and other basic information, then students spend class time in deeper discussions, analysis and collaborative projects. Working with a company called Odigia that designs online learning platforms, the museum created a social-media site stocked with images from its collections, video interviews with artists and discussion questions, all tied to one of three themes — identity, place, and storytelling.